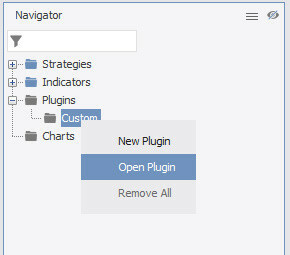 The jar file has to contain a class which extends the Plugin class. Import the JForex-SDK project either by using Eclipse, Intellij IDEA or NetBeans. Open command line and navigate to the JForex-SDK project folder root, then build the OrderTable.jar with the following command. 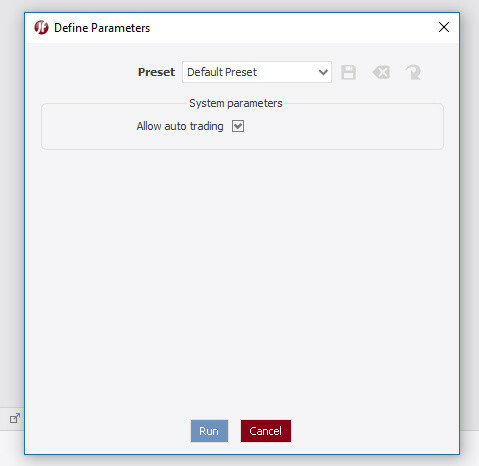 Deselect "Allow auto trading" if you wish to prohibit the plugin to make any order changes. 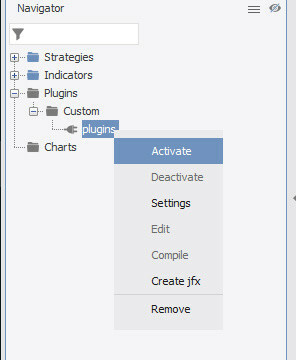 Select "Activate plugin on platform startup" if you wish the plugin to auto-start.